Giant Loop has been a proud supporter of the Baja Rally since its first running. We equip the Baja Rally’s medical support crew with our MEDIC MoJavi Saddlebags and other support riders with our STAFF MoJavi Saddlebags. Live Streaming, Live Tracking and Daily Video Highlights On www.bajarallymoto.com. Each day for 5 days, race fans worldwide will stay up to date with all the action and drama as it unfolds! 4th Annual BAJA RALLY – The fastest growing motorsports event in North America spans the entire week of October 9th to 15th with Live Streaming Video, Live Tracking and daily highlight videos. Engines will roar as the sun breaks the darkness in the horizon, and the 80 competitors from 13 countries will take their first green flags Tuesday October 11 from “Restaurante Acambaro” at 9:00AM PDT. Don’t miss any of the blood, sweat and tears spilled onto the 1,500-mile racecourse this year! Watch the riders blaze down the Baja Peninsula from our Live Streaming and Tracking Pages then check out our Instagram and Facebook pages regularly for photo, news and video updates! 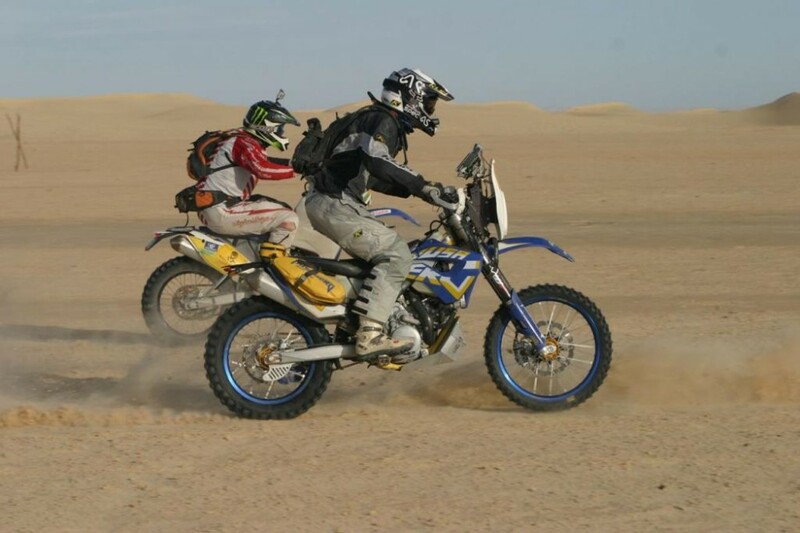 The BAJA RALLY is the first and only FIM style navigation rally raid in the Mexican State of Baja, CA. Modeled after the world famous DAKAR RALLY, the BAJA RALLY has been endorsed by federal, state and municipal governments as an “eco-adventure” racing competition because of its low impact on the environment and through cooperation with federal regulators. Four years since its inception, the BAJA RALLY is branded as a human experience designed to test racers’ stamina, skill and mechanical prowess. 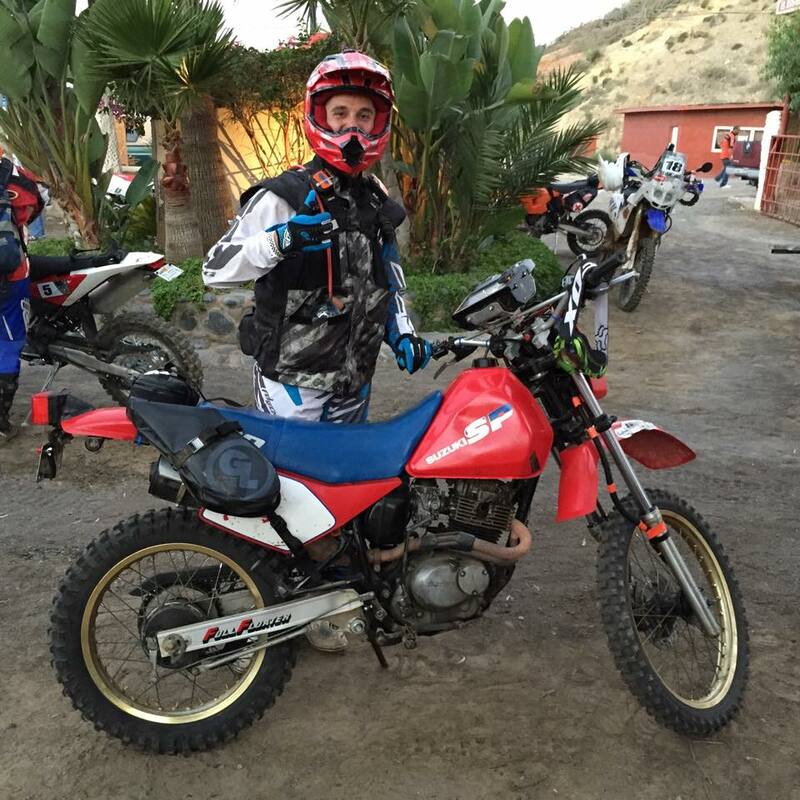 Seat Time host Brian Pierce thought his racing was done when he blew up his bike at this year’s BAJA RALLY – then he and his father got inspired and prepped his dad’s 27-year-old Suzuki SP 200 so he could finish the race! Due to at least one lengthy route on the BAJA RALLY 2.0, we will have a 205 mile (329km) special where we may not have a gas stop set up between 2 points 147mi apart. Its a situation we cant be sure of solving. Therefore, the minimum gas range for riders and bikes has been raised to 150 miles indefinitely. Some riders will need to carry extra fuel on certain stages. 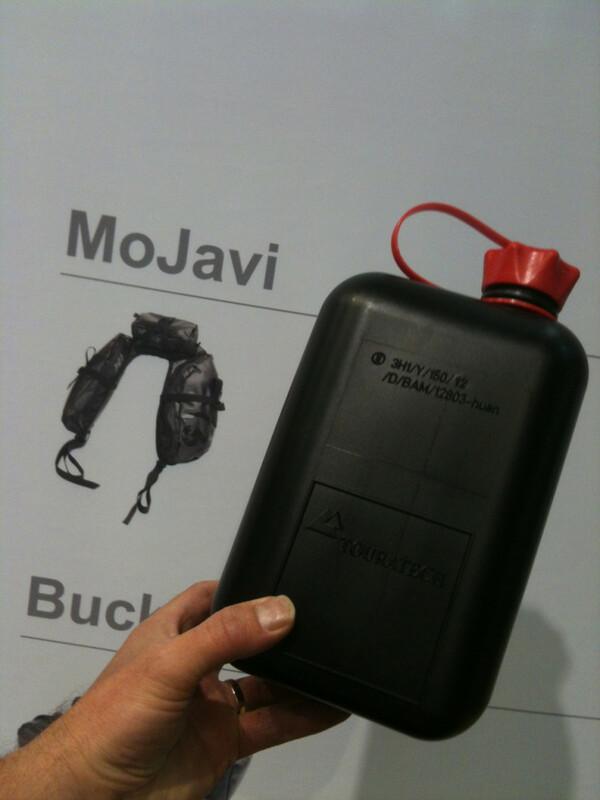 The Giant Loop Mojavi Bag has been used widely in rallies all over the world for riders to carry water, tools and gas. These are lightweight easy to use saddle bags to carry up to a gallon of liquids. Riders are using TouraTech’s 2 liter bottles on each side of the Mojavi in some cases. I realize this is going to effect a few riders right off the bat and wanted to make sure everyone has enough notice to respond to the changes. I welcome your phone call or email reply to discuss this further if needed or answer any questions you might have. Don’t hesitate to call 858 342-8222. ADVMOTO Magazine has a big article where Scotty Bloom, producer of the Baja Rally, wrote about the “Ultimate Riding Machine”, a BMW F800GSA setup with a long list of off road must haves!